Looking for private in-home or in-studio Viola lessons? Our Ellenwood teachers are ready to get you started. Find your teacher today! Lessons are tailored to fit each individual student's ability and goals. I believe in challenging students while maintaining a supportive and encouraging environment. Lessons will cover music theory, technique, and solo pieces. 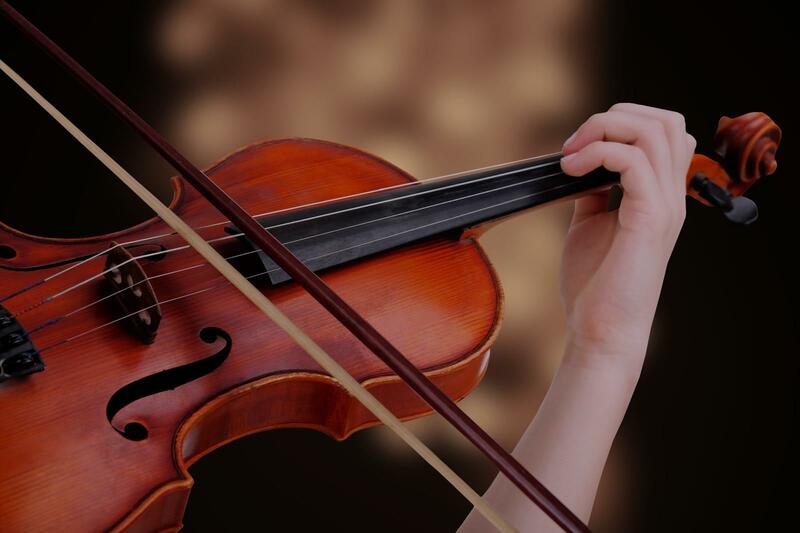 The goal is to develop in each student the specific skills needed to play a string instrument as well as to nurture an understanding and love for music. Lessons take place at my apartment in Southeast Denver, near Hampden and I-25. Students are expected to prepare for and participate annual studio recitals. In addition to lessons, students are strongly encouraged to participate in a music ensemble program such as Suzuki group classes, school orchestra, or youth or community orchestras. n, and my students there and in other public schools in the area excelled in the All-Region and All-State competitions. I love his supportive and positive nature. Viola jokes are for losers... I think viola has one of the most gorgeous tone in the entire orchestra family. I can work on solo pieces as well as chamber music / orchestral excerpts of your choice. I am a violinist of the Attacca Quartet, a NY-based string quartet that has been traveling all over the world! In addition to concertizing, my colleagues and I teach students of all levels wherever we go; we have given lessons, masterclasses and lectures in the United States, Canada, Mexico, Colombia, Peru, Ireland, Australia, Japan, UAE... good thing we all speak the universal language of humanity: music. I grew up in Yokohama, Japan, but I decided that I was ready to explore the world when I was finishing up the 10th grade. I moved to New York to pursue a musical life and career. I have Bachelor's and Master's degrees in Violin Performance, as well as Artist Diploma in String Quartet Studies from The Juilliard School. olin, but I have had several students win domestic and international competitions. While I enjoyed the experience of being a part of numerous children's lives tremendously, I am slowly moving towards teaching adults because my busy tour life does not allow for me to be in town all the time. If you are a beginner and need help with reading music in general, don't worry- I teach a course called "Ear Training" at Juilliard, so that can be a part of our lessons as well. I look forward to meeting you and making music together! I highly recommend Keiko as a violin teacher. She would be good with any level and any age student. Keiko is really a wonderful, patient and constructive teacher. She really knows fundamentals and always explain to me how to do things from many different prospective. I work full time and often find myself not ready for the lessons. She doesn't discourage me in any way even if I make really simple mistakes. She is always very positive and somehow makes me wanting to learn more. I am so lucky to have found her. A wonderful violin teacher, always with the right solution for the technical and musical challenge. Keiko has a warm and kind manner that encourages confidence, especially for an adult student like me. And I continue to learn from her - in my ongoing lessons and her performances that I attend. Keiko is an awesome instructor who knows her stuff. She really helps and challenges her students to better understand the instrument and how to play it. I definitely recommend her as a teacher as you will learn a lot with her! !